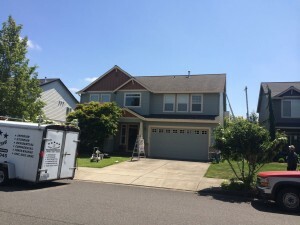 When you call or text 5 Star Painting for exterior painting in Vancouver, WA there is no such thing as a 50-50 overlap. Every exterior painting project we do gets a full 2-coats of spray on the body and a full 2-coats brush on trim of your home or business. With over 24 years offering exterior painting in Vancouver, WA, we have a reputation as the premiere quality exterior painters. We offer top-quality Sherwin-Williams, eco-friendly, low VOC paint on every exterior painting service. With our experience and high-value paint, our 1-year warranty is just the beginning of how long your paint is likely to last. 5 Star Painting offers thorough exterior painting preparation. Your home or business will receive pressure washing, scraping, caulking and primer before any exterior painting is done, so your exterior paint will last. You will see the difference 5 Star Painting makes in all our commercial exterior painting and residential exterior painting services. Our skilled painters have the experience and dedication to ensure every detail of the exterior of your home or business looks amazing. Not only do we expertly handle complicated trim work, we also use quality Sherwin-Williams SherMax™ caulk, which has a lifetime warranty. At 5 Star Painting we never caulk over cracked and decaying caulk. Instead, all caulk in need of repair is removed and new caulk is applied. As a family-owned business we have a personal investment in everything we do. The owner is present on each and every project, ensuring stellar work in each detail of your exterior painting. 5 Star Painting understands the importance of the look of your home. The pride you take in your home is also the pride we take in our exterior house painting. 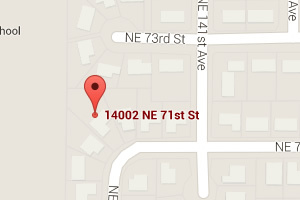 As your neighbors in Vancouver, WA, we treat each house like it was our own. We start by listening to you. We help you find the colors you’ll love. From there, each exterior house painting is done to your exact specifications. At 5 Star Painting we believe in open communication. All our pricing is upfront and we are happy to receive any input you have or answer any questions that come up. That is all part of offering exterior painting in Vancouver, WA that really is five-star! 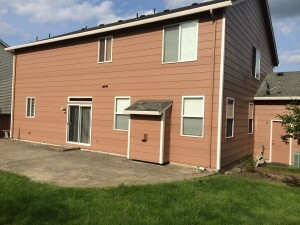 Contact us today and see the difference 5 Star Painting makes in exterior painting in Vancouver, WA. Also proudly offering high-quality interior painting in Vancouver, WA and the surrounding areas.